A lot of how my process works with reviewing a cassette involves finding a link for you to purchase it. I often feel like it might be easier to just put up an artist name, cassette title and label if available and let you use a web search of some kind to figure it out for yourself, but I like to be a helpful, guiding hand. Plus, I think it's kind of mean to say "Oh yeah, you should totally buy this cassette" without giving you a link or an idea of a price when doing so. 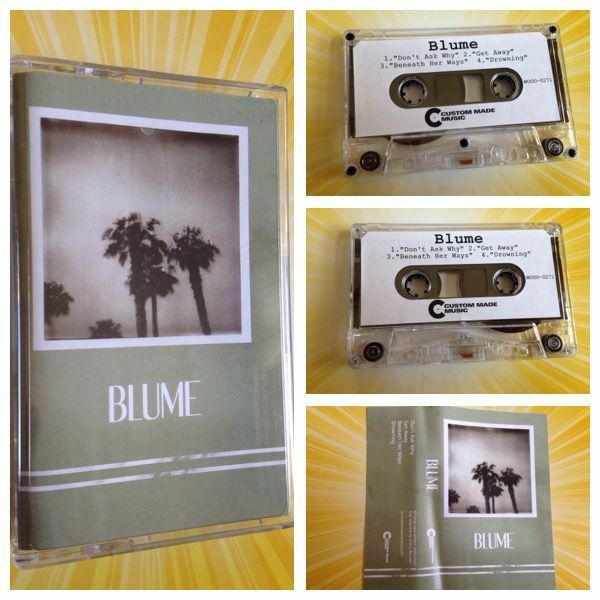 When looking for a link for Blume I first went to the Custom Made Music website but could not find this cassette under "releases", which is where I find most of their cassettes. So I went onto Step 2 which is to search Bandcamp. 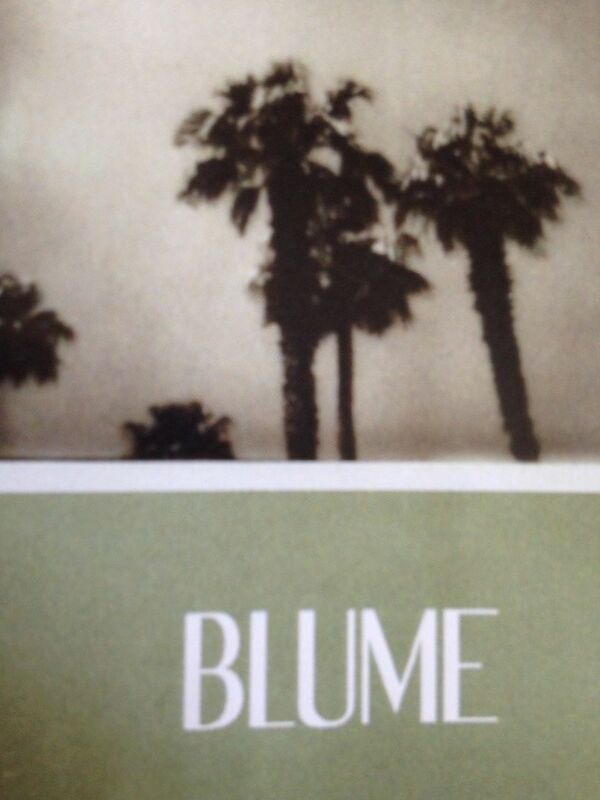 I actually saw inside the j-card that Blume does have a Bandcamp so at the very least I thought it could point me in the right direction. I also saw from the cassette itself (and confirmed in the j-card) that this self-titled cassette is an EP of four songs which are on both Side A and Side B. Now the things that I perhaps didn't want to see on Bandcamp- that peak behind the curtain if you will- are that this music is all made by one person though it has a full band sound to it and on Bandcamp it is also tagged as both "post punk" and "shoegaze", two of the main tags I would use to describe it. The songs have those whispery qualities to the vocals and just an all around -gaze feel so I kind of questioned myself on the shoegaze but I do feel it there. I've also been listening to a lot of shoegaze lately (and not just for review purposes) so I thought maybe that played a part in my thinking that but, no, every time I listen to this I still hear the shoegaze. A good way to test the shoegaze factor- in my opinion- is to wonder whether or not a song could be on a When The Sun Hits compilation or not. Granted, artists occasionally end up on the compilations who aren't strictly shoegaze but they at least seem to be friend to shoegaze and that works for me. At the same time, this does have a feel of post punk though, simply because it can fall somewhere between The Cure and something modern and that's usually how I think of something as being "post punk". The drum machines can quicken the pace just as easily as they can slow it down, dictating what will be done with the overall sound. Will it feel like a fast bike ride down a hill or will it feel like a warm day spent at the park in the sun? Regardless, the tempo is there throughout the four songs and though this might be considered an EP it has enough weight to it to fly as a full length. 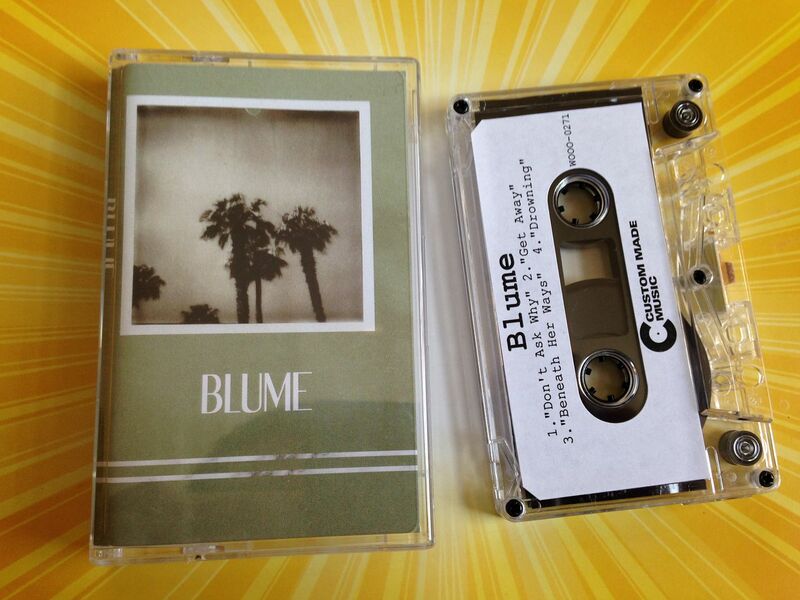 Even though this is the only release on the Blume Bandcamp page as I type this, I do look forward to more music to see what other places the songs can take me.